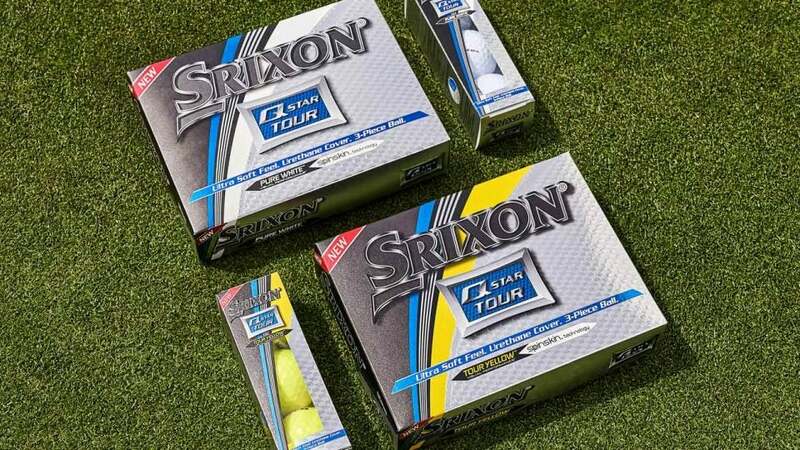 The new Srixon Q-Star Tour golf balls. Available in both white and yellow, the new and improved Q-Star Tour ($30/dozen) golf balls are aimed at players with moderate clubhead speeds that desire Tour-like performance with a soft feel and lower price. Featuring a three-piece construction the second generation Q-Star Tour is built with a thin and soft urethane cover for enhanced short-game spin and control as well as Srixon's third generation Spin Skin coating for optimum spin in all scoring situations. 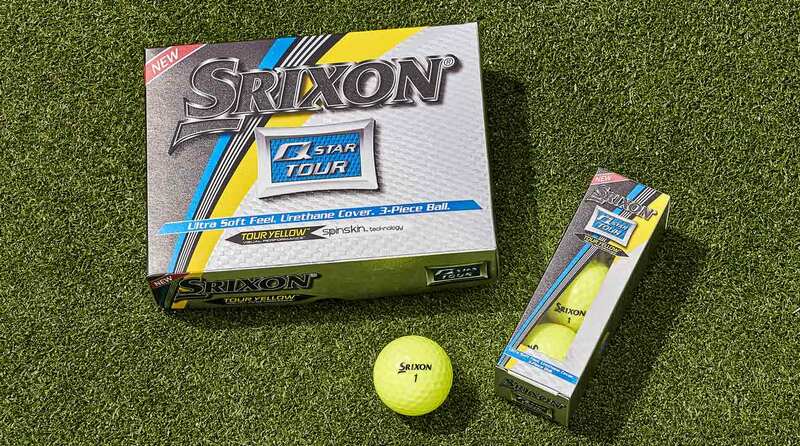 The yellow version of the new Srixon Q-Star Tour golf balls. Other features include a low compression core for excellent feel and low-spin distance on long shots and a 338 speed dimple pattern for less drag, improved launch, and solid performance in windy conditions.